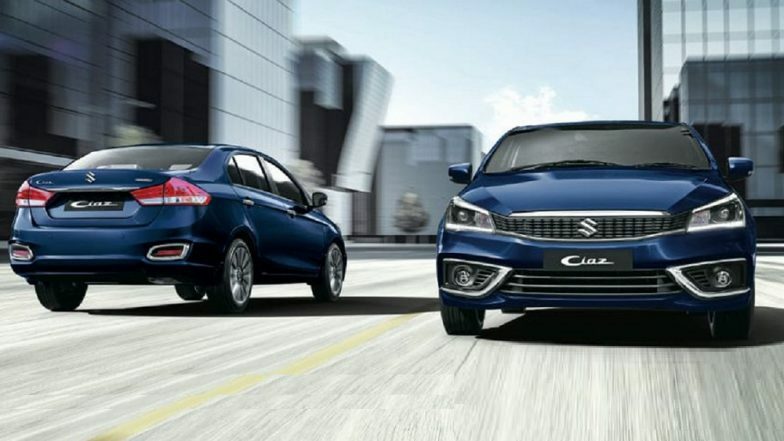 Maruti Suzuki India, the country’s leading auto manufacturer has officially announced the launch of its new 1.5-litre DDiS 225 Diesel engine on the its popular mid-sized sedan - Maruti Ciaz. The car maker added the new DDiS 225 diesel engine to its portfolio after witnessing the success of its 1.5 litre K15 Petrol Engine in New Ciaz and All New Ertiga. This marks Maruti Suzuki India’s official entry into market with bigger engines of 1.5-litre capacity. Maruti Suzuki Gypsy Discontinued in India; Maruti Suzuki India Stops Production For Iconic Off-roader After 34 Years. Talking about the new diesel engine, the unit is developed in-house and it will be replacing company’s 1.3-litre MultiJet engine, which is currently on offer. Though the engine is BS-VI compliant, the engine will be offered as BS-IV compliant. Once the new norms are introduced, the car maker plans to upgrade the engine to meet the new BS-VI norms. The new 1.5-litre DDiS 225 diesel engine is tuned to make maximum power of 95.17 PS @ 4000 rpm against the peak torque of 225Nm @ 1500 – 2500 rpm. The company also has introduced a new 6-speed manual transmission along with the new powerful engine. 2019 Maruti Suzuki Ignis Car With New Safety Features Launched in India; Prices Start From Rs 4.79 Lakh.